Roper Rhodes was founded in 1979 as a family business operating from the Somerset town of Bath. From these unassuming beginnings has risen a company that, over its thirty-plus years of existence, has garnered a reputation for excellent quality and customer service that has made Roper Rhodes Bathrooms leading players within the UK Bathroom Market. One of Roper Rhodes’ defining priorities is expansive product development and rigorous product testing. From initial ideas to final quality-assurance, each and every stage in the development of a product is handled in-house in Roper Rhodes Bath offices. Behind every tap, shower valve and piece of furniture is an experienced team of developers, researchers and technical experts. With a market in a constant state of flux, it is a testament to Roper Rhodes Bathrooms expertise that current trends and new technologies are incorporated regularly and seamlessly into their product ranges. Without this commitment to quality and innovation, it just wouldn’t be Roper Rhodes. Here at MBD Bathrooms, we can supply an extensive selection of Roper Rhodes Bathrooms products. 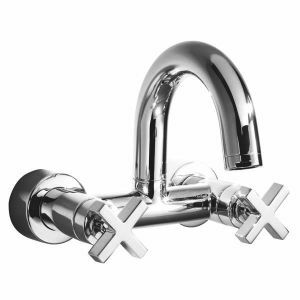 Roper Rhodes taps and shower valves are available in designs that range from pure classic elegance to modern minimalism, covering all bases in between. 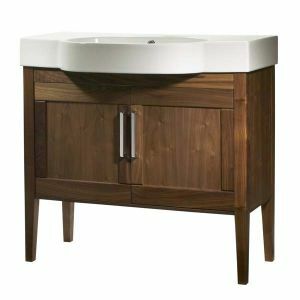 Roper Rhodes furniture, with their distinctive wood finishes, are perfect for warming up a cool bathroom with their timelessly beautiful traditionalist designs. Roper Rhodes bathroom mirrors with lights are the ideal addition to a bathroom that could do with a bit of brightening up; combining essential functionality with beautiful aesthetics, there are many elegant designs to choose from. We also supply a range of Roper Rhodes lavatory seats and bathroom mirrored cabinets to complete your beautiful bathroom. Thanks to our incredible industry experience and buying power, MBD Bathrooms can offer you the assurance of a quality-tested, British-made Roper Rhodes Bathrooms product at an incredibly affordable price. The combination of our commitment to value and service and Roper Rhodes’ reputation for quality and innovation makes for a bathroom buying experience that you can rely on; keen prices, and always the highest quality.